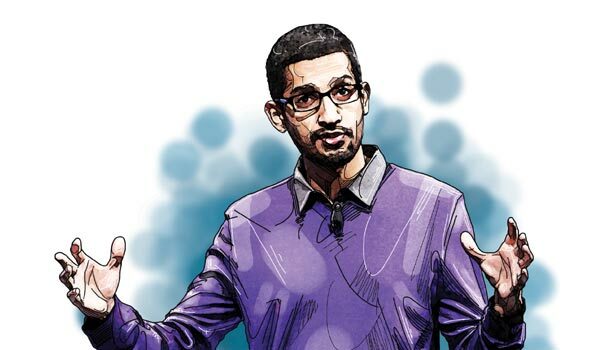 The elevation of Sundar Pichai as Googlea��s new CEO may have been one small step for India, but it was a giant leap for the Pichais of the world. Having endured innumerable jibes all through their lives, those bearing the name a�?Pichaia�� can now strut around with a $150 million (Sundara��s estimated net-worth) smile, now that ita��s become a global badge of honour. But things never looked this gung-ho because Pichai in Tamil has been an uncool word for the last few generations. For those without a cultural perspective, it evokes the negative imagery of a pichaikaran (Tamil for beggar). Which probably explains why Sundar Pichai chose to be just P Sundararajan while studying in Chennai. In case youa��re wondering why anyone would choose a�?pichaia�� (literally a�?almsa��), as a moniker for their baby, well, leta��s give you the backstory then. In the olden days, the mortality rate of newborns was high. To insure the childa��s health, devout parents would vow to name their young ones andavan pichai (Goda��s benefaction) or pichai for short. This custom was prevalent across castes in Tamil Nadu. Thata��s why you had a Pichai Thevar, Pichai Muthu Chettiar, Pichai Nadar and a Pichai Pillai. Insensitive blokes who have no clue about nomenclature would cook up lame jokes by shrinking Ramanathan Pichai as Ra Pichai (Tam for a�?night beggara��). Leta��s just hope that the Google Guy has saved the name from mindless ridicule, once and for all. Talking of baby mortality, some enterprising Tam Brams devised another formula to keep the grim reaper at bay. They named their children a�?vembua�� (Tamil for neem) as the Neem tree supposedly had the powers to ward off evil spirits. There are many other so called embarrassing names in Tamil households. Pappa (a�?babya��) tops the list. Everyone I know has had a Pappa athai, Pappa chithi or Papa perimma. Kunju (a�?young onea��, also a pejorative) is another shudder-worthy name that pops up with varying suffixes so many times Ia��ve lost count. Can you imagine MS Subbulakshmia��s pet name was Kunjamma? Thank god, she kept it a well hidden secret. Another name that causes constant mirth is Ambi. Not many know that Ambi is another way of saying thambi. Ita��s like using a�?broa�� instead of a�?brothera��. That said, arena��t we all glad that wea��ve outgrown the old world?